From the Romans to the Twenty First Century, Bath offers a unique experience with stunning architecture such as Queen Square, Pulteney Bridge, Circus and Royal Crescent. On a walking tour you will get a fascinating insight into how Bath became the world-class World Heritage Site it is today. Britain's only hot springs are right here. A city with a rich and eventful maritime history, the Old City district is much as it was hundreds of years ago. 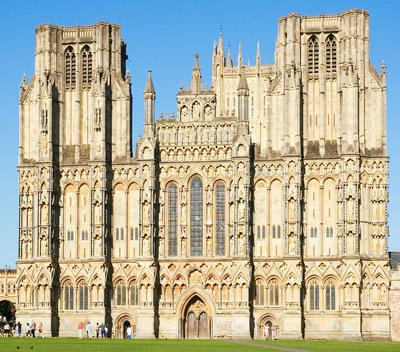 Explore the narrow cobbled streets and magnificent buildings of Bristol's original old town. A City walking tour will ensure you do not miss the Llandoger Trow on King Street, the elegance of Queen Square or the Corn Exchange in Bristol's old financial quarter plus much more in hidden alley ways and bye ways. Bristol Cathedral a church has stood on this site for over 1000 years. See the magnificent Norman Chapter House as well as the stunning architecture that makes Bristol Cathedral the major example of a "hall church" in Great Britain and one of the finest anywhere in the world. Explore the town on foot and discover the Abbey Barn, Abbey House, the Tribunal used by the infamous Judge Jefferys, stop for a drink at the George and Pilgrims Inn which was the Abbey guest house . Visit the churches of St John's and St Benedict's. 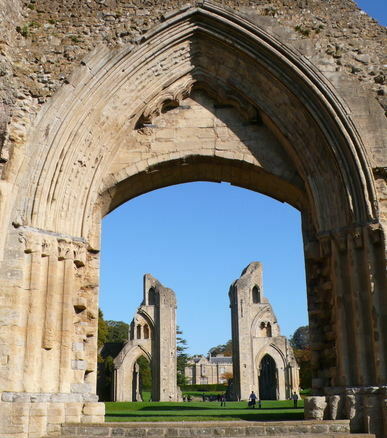 Discover how Town and Abbey worked together. From Wearyall Hill you get views over the Town and the Abbey, see where Joseph of Arimathea planted his staff which blossomed into the Glastonbury Holy Thorn. Walk to Glastonbury Tor rising 159 metres out of the Somerset levels with St Michael's church tower on the summit. The dramatic and evocative Tor dominates the surrounding countryside and offers spectacular views over Somerset, Dorset and Wiltshire. Take just one of the walking tours or any combination of the three. Tours tailored to the time you have available. The smallest city in England and the only one in Somerset. A gem of a place with its moated Bishop's Palace, still the residence of the Bishop of Bath and Wells. Vicars' Close claimed to be the most complete medieval street in Europe.